The vast majority of our new students apply for fall admission, but it is also possible to start in January (our intensive one-month mini-term). 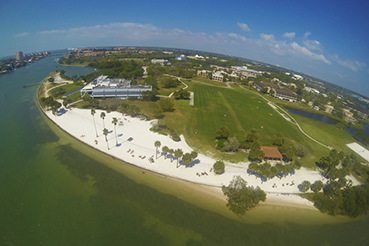 Eckerd College has two application options: Early Action or Rolling Admission. Both programs are non-binding and do not require a decision from you until May 1. 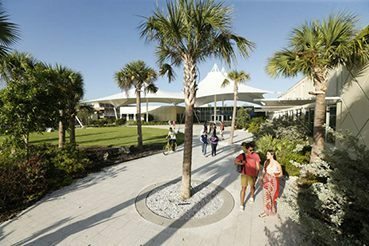 Early Action at Eckerd allows students the opportunity to submit their application early and receive an early decision. All students who submit their completed application and supporting materials postmarked by November 15 will be considered in our Early Action pool. Early Action admission decisions will be mailed by December 15. An Early Action application is non-binding, allowing students to submit applications to other colleges and does not require an enrollment deposit from the student until May 1. Starting December 1st, Eckerd will begin reviewing applications submitted in the Rolling Admission pool. We will review and return decisions as applications become completed. We typically return a decision for our rolling applications within 4 weeks of a completed application. Rolling Admission allows students to submit applications to other colleges and does not require an enrollment deposit from the student until May 1. Submit your application by November 15. You’ll receive a decision from us by December 15. For applications completed after November 15, decisions will be sent within four weeks of us receiving all application materials. Applications and supporting materials must be received by December 1 and decisions will be sent within four weeks of receiving all application materials. Students who wish to accept our offer of admission must submit an enrollment deposit no later than December 8. Eckerd College is a place where students are given close personal attention. We try our hardest to make the admission process just as user-friendly. Each applicant is looked at individually. Test scores and grades are important to us, but so are personal merits that cannot be measured quantitatively. We want to get to know you, as a student and a person, so our process takes into account both your academic and personal merits. 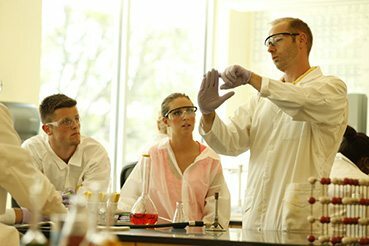 Eckerd seeks applicants who have taken high school courses that are demanding and rigorous. Most of our students have taken honors, accelerated, advanced placement, dual enrollment, and/or international baccalaureate courses. We want you to have pushed yourself! We also look for solid grades in tough courses. The average GPA for an entering freshman is about 3.3 on a 4.0 scale and most students come from the top 20% of their high school classes. 3 years of lab sciences. 3 years of history or social science. 2 years of a foreign language. We give more weight in our decisions to courses and grades than we do to SAT and ACT scores, but we do consider test scores as part of our admission evaluation. We pride ourselves on having very successful students, and part of that comes from the fact that we evaluate the personal qualities of our applicants to assure Eckerd is a good fit for you. Most successful applicants will have demonstrated leadership accomplishments in school, community, or church. They will also have shown a commitment to community service. We want to learn as much about you as we can. If you want us to have more letters of recommendation, or more than one essay, or copies of term papers you have written, or samples of your poetry, or videos of your piano playing or tennis talents, or whatever, send them along. Eckerd will award students sophomore standing if they have graduated from high school with an IB diploma and have earned grades of 5 or higher in at least three higher level exams. Students who don’t receive the IB diploma may receive credit for those subjects in which grades of 5 or better were earned in the higher level examinations. Students who score a 4 or 5 on their AP examinations will receive course credit for those examinations. Students who receive a C or above in their A-level exams may qualify for a up to a full year of college credit for those examinations. For complete information on earning class credit please visit the Registrar’s page.